Georgine Saves » Blog Archive » Good Deal: Viewsonic Monitors & Projectors up to 20% Off TODAY ONLY! FREE Shipping! Good Deal: Viewsonic Monitors & Projectors up to 20% Off TODAY ONLY! FREE Shipping! 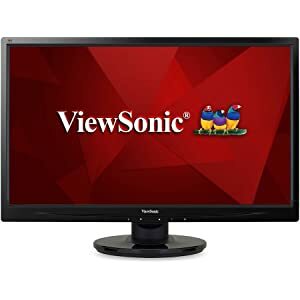 #ad If you need a new monitor or projector, head over to Amazon.com to save up to 20% off Viewsonic. The widescreen monitor with an LED backlight and glossy, thin-bezel design ideal for use in the home or at the office. The projectors feature exclusive Super Color technology offering a wide color gamut for beautiful image production in nearly any environment. Shipping is FREE.